Hunting season is right around the corner. That means its time to inspect all your hunting gear, including your scope set-up. A proper scope installation involves more than just tensioning a set of rings — you need to consider the proper eye relief and head position. 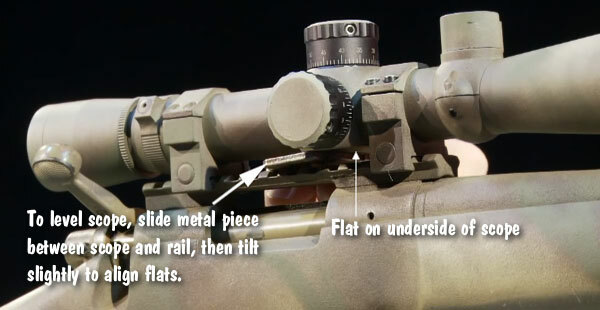 Share the post "How To Install a Scope on Your Hunting or Field Rifle"
If you’ve been shopping for a Progressive Reloading Press, here is an excellent opportunity. 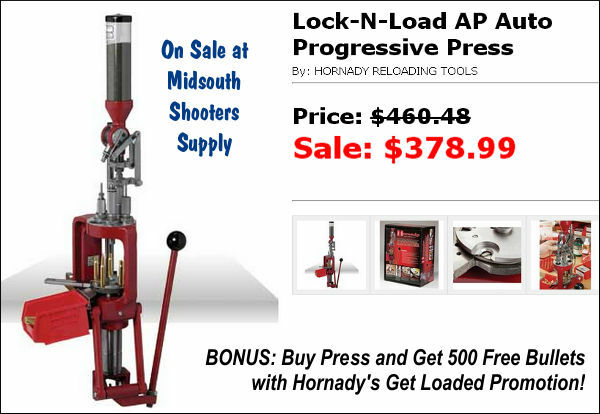 The Hornady Lock-N-Load AP Progressive Press is now on sale for just $378.99 at Midsouth Shooters Supply. That’s the lowest price for this press that we’ve seen in a long time. Plus — to sweeten the deal — Hornady will kick in 500 free bullets. 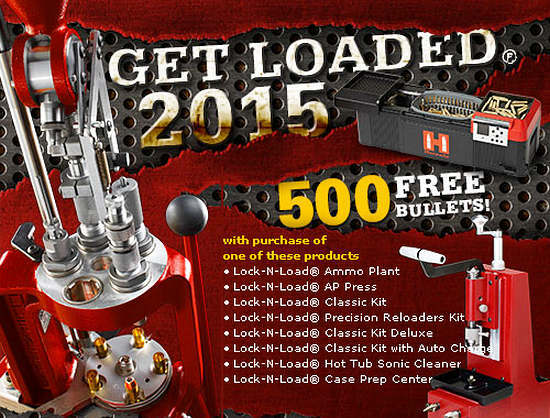 As part of its 2015 Get Loaded promotion, Hornady will give 500 free bullets to purchasers of a Lock-N-Load AP Press (or other qualifying product). The Lock-N-Load AP press is a good machine that has been refined and enhanced over the years. We like the rotary-style case-activated powder measure. We find this easier to adjust that the Dillon system with horizontal sliders. The auto-indexing Lock-N-Load AP press features a Five-Station Die Platform allowing you to use a lock-out die or separate sizing and crimping dies. The features of the Lock-N-Load AP press are reviewed in this video from UltimateReloader.com. 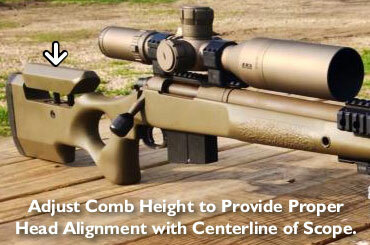 Our friend Gavin Gear put the Hornady progressive through its paces. The video shows how to set up the press, how to install/adjust dies, how to set loads with the powder measure, and how to operate the built-in priming system. If you plan to purchase a progressive press from any manufacturer (Red, Blue, or Green), you should definitely watch this video before you purchase. CLICK HERE for Lock-N-Load AP Progressive Press Video PART 2. Share the post "Hornady Progressive Press on Sale (Plus 500 Free Bullets)"